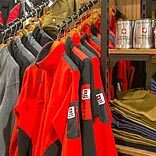 Swiss Military Worldwide, a premium global Men's lifestyle brand has announced its foray into the Indian retail market. The first outlet will come up in northern region very shortly, and, Franchisee model of the stores too will be launched in the latter part of the year. Founded in Switzerland over 30 years, Swiss Military entered the Indian market five years ago and has been operating in the Business-to-Business segment.